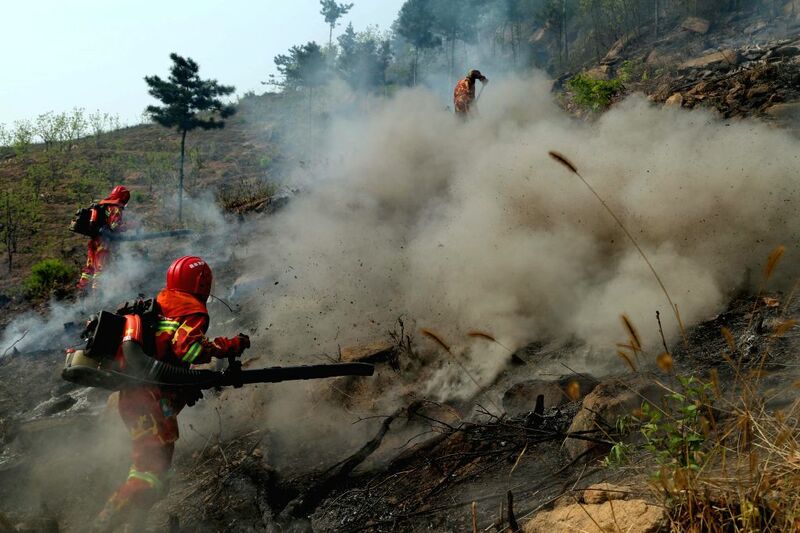 QINHUANGDAO, April 23, 2014 - Firemen extinguish a blaze at a forest fire site in Funing, north China's Hebei Province, April 23, 2014. 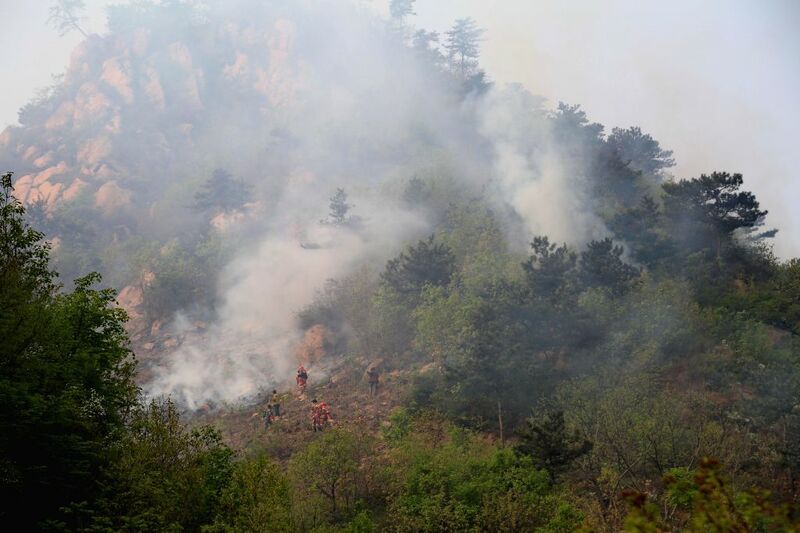 Forest fires occurred in Tianjiagou village and Xingxingyu village of Funing on Monday. 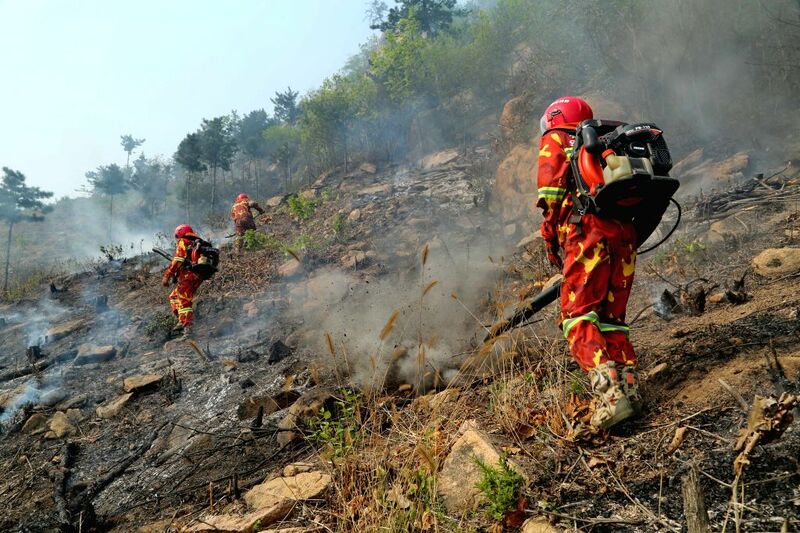 Firemen work at a forest fire site in Funing, north China's Hebei Province, April 23, 2014.